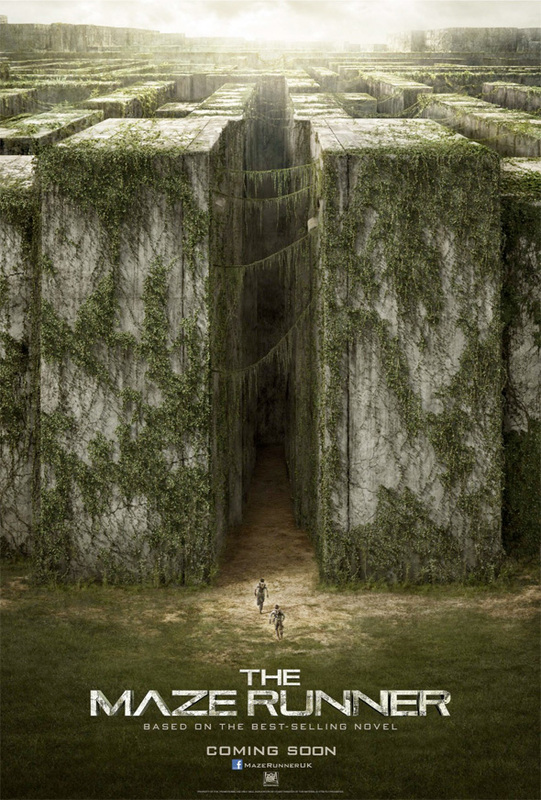 Following some impressive, towering concept art last year, not to mention some first look photos, the teaser poster for The Maze Runner has arrived. It definitely takes a cue from the aforementioned concept art, but just changes the angle from which we see the maze, and only features two characters getting ready to enter the towering puzzle. Fox pushed back the film from an initial February release all the way to this fall in September, but that was apparently to make the movie and marketing better, to give audiences more time to gain interest in the film. The teaser trailer shouldn't be too far behind either so stay tuned. See the poster! The Maze Runner marks the feature directorial debut of Wes Ball, working from a script by Noah Oppenheim and James Dashner (who wrote the book on which the film is based). The story follows teen Thomas (Dylan O'Brien), who awakens in a rusty elevator with no memory of who he is, only to learn he's been delivered to the middle of an intricate maze, along with a slew of other boys, who have been trying to find their way out of the ever-changing labyrinth — all while establishing a functioning society in what they call The Glade. Kaya Scodelario, Will Poulter and more star in the film arriving on September 19th, 2014. Would have been cool if the text was mixed in with the actual maze. The concept looks better to be honest. Should have used it as the base in terms of composition and perspective. Love a good maze film. Let's just hope it's not corny.